The Pentagon said an American drone strike killed a key Al-Shabaab operative responsible for coordinating the Somali militant group’s intelligence and security operations, while also having been the mastermind behind the Westgate Mall massacre. 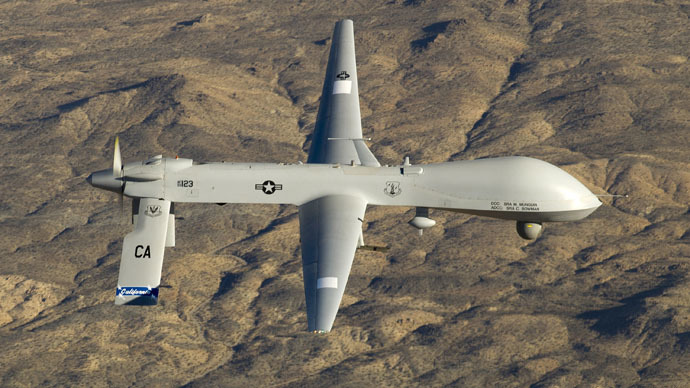 US forces, working from intelligence reports and using an unmanned aircraft, struck a vehicle on March 12 carrying a member of Al-Shabaab’s intelligence and security wing operations who was identified as Adan Garar near Diinsoor, Somalia. Garar “posed a major threat to the region and the international community and was connected to the Westgate Mall attack that killed dozens of people in Nairobi, Kenya on September 13, 2013,” said a Pentagon official in a statement. “His death has dealt another significant blow to the Al-Shabaab terrorist organization in Somali,” the official added. The Associated Press reported two others were suspected of being killed in the car. A senior Kenyan official who insisted on anonymity said Garar is also suspected of planning failed attacks on Kenya’s coast and in the Ugandan capital, Kampala, last year. The Westgate assault targeted a shopping mall in an upscale Nirobi neighborhood. The assault, carried out by four Al-Shabaab gunmen, lasted three days and left 67 dead and 175 people wounded. Al-Shabaab claimed responsibility and said it was in retaliation for the Kenyan government sending military forces to Somalia. Al Shabaab is one of Africa’s largest and most powerful Al-Qaeda affiliates, according to the Business Insider. The group controls remote areas of southern Somalia and has pulled off deadly attacks in Kenya and Uganda as well. Since the shopping mall attack, Al-Shabaab has claimed responsibility for assassinating members of parliament and launched a deadly attack on a Mogadishu hotel. The Obama administration is supporting a CIA counterterrorism effort in Somalia which includes targeted strikes by US Special Operations forces, drone attacks and expanded surveillance operations, according to The Nation.